We're very excited to announce today that we'll be taking part in the 12 Days of Minecraft event this year (read the full announcement here)! Beginning on the 21st of this month you can receive a free gift on the Minecraft Marketplace every day, for twelve days. That's twelve absolutely free pieces of content! All you need to do is open up the marketplace each day and your free gift will be sitting there waiting for you. And how are Noxcrew involved? Well, we're giving away the first gift. 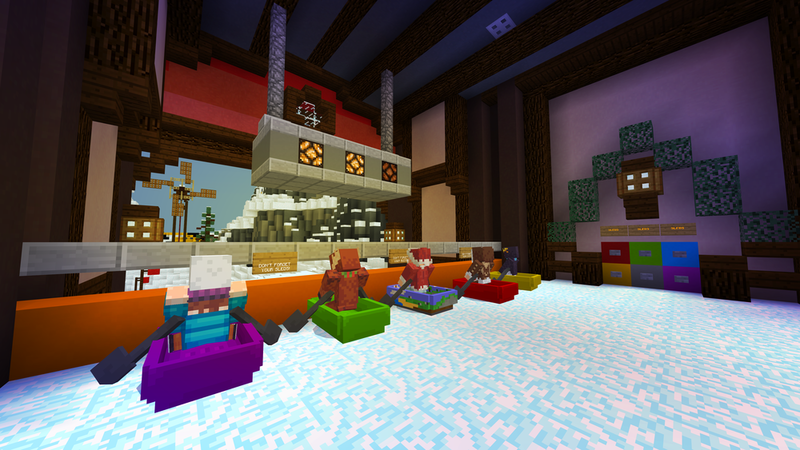 On the 21st of December you can hop onto the Marketplace and claim your free map, Ready Sled Go! The free map will be available for one day only so be sure to follow us on Twitter so you don't miss out. Check out the video below for what else is coming to you this holiday season.